• This year the Twins' only arbitration-eligible players were Brian Duensing and Drew Butera, both of whom were in their first season of eligibility and both of whom avoided a potential hearing by agreeing to one-year contracts. Duensing gets $1.3 million and Butera gets $700,000. Alexi Casilla would have been arbitration eligible for the third and final time, but the Twins dropped him in November rather than pay him around $1.75 million. I devoted a whole post to Duensing two weeks ago, so I won't rehash everything, but the short version is that this could be a make-or-break year as he tries to establish himself as a valuable reliever after flopping as a starter. If he fares well in a full-time bullpen role he'd certainly be worth keeping around in 2014 for the $2 million or so he'd likely get via the arbitration process, but if Duensing struggles he could be a Casilla-like non-tender candidate next offseason. Butera getting a raise from the $450,000 minimum salary to $700,000 is meaningless in terms of the Twins' payroll, but whether he warrants a place on the roster for a fourth consecutive season remains in question. There's a place for good-glove, bad-hit catchers on a lot of teams, but Butera is quite possibly the worst hitter in baseball and it's awfully tough to make up for that defensively. With that said, if he gets fewer than 150 plate appearances again it will barely matter. I'm not counting Dan Haren, whose one-year deal was in a higher price range. If you're being kind to Correia he might be better than 2-3 of those 11 starters, but if so it isn't by much. Yet all of them were had for one-year deals--including Mike Pelfrey by the Twins--and that list will grow with names from a group of still-unsigned starters that includes Shaun Marcum, Joe Saunders, Roy Oswalt, Jair Jurrjens, Kevin Millwood, Freddy Garcia, and Chris Young. So why was a two-year, $10 million commitment to Correia needed when a dozen similar or better starters were available for inexpensive one-year deals? And that's anything but hindsight, as it was clear all along that this free agent class was deep in third, fourth, and fifth starters. Despite that somehow the Twins managed to target one of the weaker options in a well-stocked bargain bin and overpay him. It didn't make much sense then and it makes even less sense now. 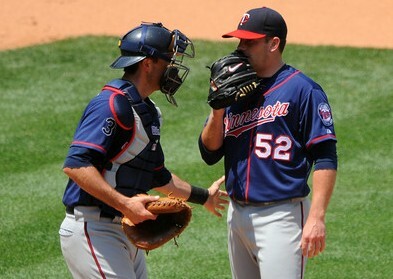 • With the Twins' pursuit of rotation help proving to be less fruitful than fans were led to believe early in the offseason Nick Blackburn re-entering their plans as a fifth starter seemingly wasn't out of the question. He's under contract for $5.5 million and despite being a horrible pitcher for most of the past three years it's not hard to imagine a decent spring from Blackburn leading to Ron Gardenhire wanting to give him another chance instead of, say, Liam Hendriks. Now it's a moot point, because Blackburn underwent wrist surgery that will keep him in a cast for six weeks. Blackburn previously had surgery in October to remove a bone chip from his elbow, so his odds of a comeback are slimmer than ever. Still, by not simply releasing Blackburn like many teams do in dropping highly paid players from the 40-man roster the Twins left the door open for his return and, if healthy, no one should be surprised if he finds his way back to Minnesota. • Last offseason the Twins non-tendered Jose Mijares rather than pay him around $750,000, which struck me as an odd decision at the time. Mijares, who had a 3.16 ERA for the Twins, went on to throw 56 innings with a 2.56 ERA for the Royals and Giants while being paid more than he would have via arbitration anyway. And now the Giants avoided arbitration with Mijares by signing him to a one-year, $1.8 million deal for 2013. He'll be under team control again in 2014. • Jim Callis of Baseball America was asked to rank the 10 best farm systems and put the Twins seventh, noting that they have "the best collection of bats in the minors, led by Byron Buxton and Miguel Sano." 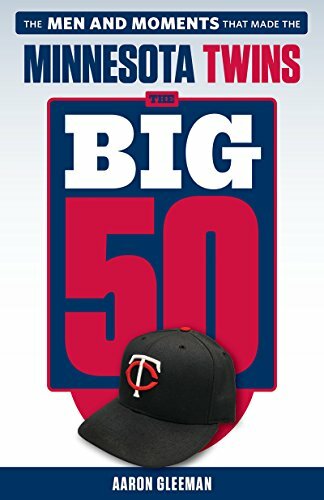 • On a related note, my annual series ranking and profiling the Twins' top 40 prospects will start tomorrow. I'll be counting down from 40 to 1, five prospects at a time, and then I'll have a system overview post putting the whole group in some context. • How little interest was there in Delmon Young? As a 27-year-old free agent he signed for just $50,000 more than Butera got in his first year of arbitration. Young in Philadelphia is an amusing match for several reasons, not the least of which is that Bonnes' wife is a Phillies fan. • Francisco Liriano's two-year, $12.75 million deal with the Pirates was in jeopardy because of an offseason injury to his non-throwing arm, but the two sides have worked out a new deal. 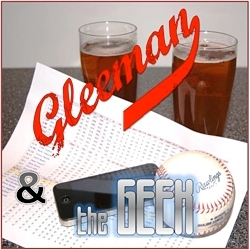 • For a lot more about Butera and Duensing, plus the merits of pursuing Saunders and the secret world of haircut prostitution, check out this week's "Gleeman and The Geek" episode. Nice article. Wish I was able to stop by. Have a beer for me. where would you rank the Twins minor league system?